SAN FRANCISCO (Reuters) - Apple very briefly retook its title as the most valuable publicly listed U.S. company on Monday, beating out Microsoft and Amazon.com, while Alphabet was close behind the trio as it prepared to report its quarterly results. (£617.9 billion), exceeding Microsoft's by $200 million and Amazon's by about $1.2 billion. Microsoft quickly returned to its spot as the most valuable company, but Apple was on track to end the session above Amazon, up 0.4 percent, taking the No 2 spot. Average analyst price targets imply Amazon would become by far the most valuable U.S. publicly-listed company at $1.03 trillion, followed by Microsoft at $967 billion, Alphabet at $927 billion and Apple at just $835 billion, according to Refinitiv data. 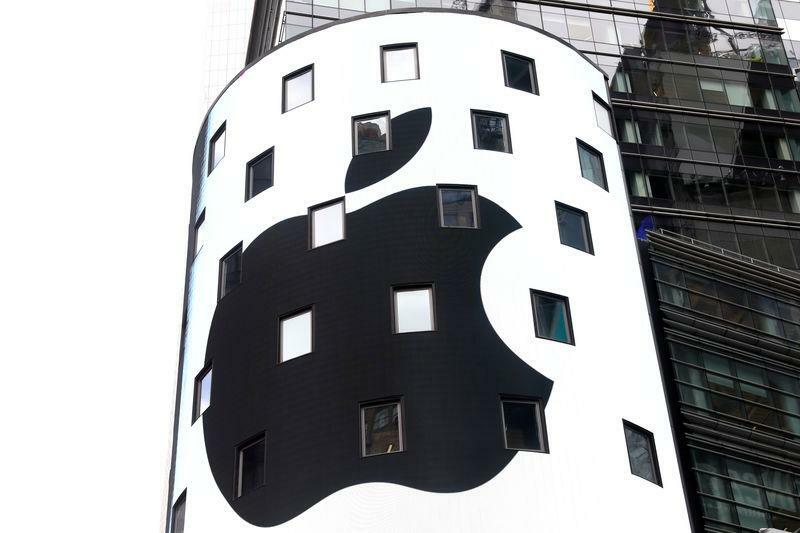 Apple's stock has risen 11 percent since its quarterly report last Tuesday, with investors betting it was oversold following months of concern about a slowdown in iPhone demand, and the company's rare revenue warning on Jan. 2 related to soft demand in China. After touching a record $1.1 trillion last October, Apple's market capitalization fell gradually, and it was overtaken in December by Amazon and Microsoft. Apple's stock market value hit a low of $675 billion on Jan. 3 after its revenue warning, but then steadily recovered, helped in part by a quarterly report that was better than feared by investors. While Apple has gained in recent sessions, Microsoft and Amazon's stocks have fallen after their quarterly reports. Amazon has declined about 4 percent since Thursday, when it forecast first-quarter sales below Wall Street estimates and warned over new regulations in India. Since Wednesday, when Microsoft met targets for its quarterly results and forecast, its stock has slipped nearly 1 percent. Google-parent Alphabet was up 2.6 percent, putting its stock market value at $788 billion. After the bell, the company is expected to post quarterly revenue of $38.9 billion, up 20 percent, and a 12 percent increase in non-GAAP net income to $7.7 billion, according to Refinitiv data. How Much Of HEICO Corporation (NYSE:HEI) Do Insiders Own?